The time and place for a historic meeting between the president of the United States and the leader of North Korea have been set. Does President Trump deserve credit for the diplomatic breakthrough on the Korean Peninsula? • Nicholas Kristof, a New York Times columnist who writes about human rights and global affairs, and who has repeatedly traveled to North Korea for The Times. • After the release of three American detainees in North Korea, President Trump confirmed on Thursday that he would meet with Kim Jong-un, the North’s leader, on June 12 in Singapore. • North Korea has invited journalists from the United States and other countries to witness the dismantling of its underground nuclear test site before the summit meeting. 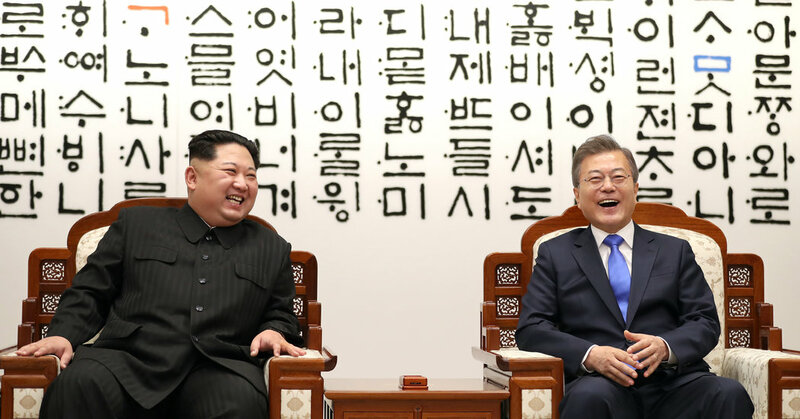 • It may now be possible to envision an era of peace with North Korea, but the odds that the North will forfeit its nuclear arsenal entirely are uncertain at best, Nicholas Kristof writes. Does Trump get credit? He still hasn’t actually carried anything out yet. It’s even more ironic to be listening to this on the same day that they’re walking away from the table less than 10 days later. Nick Kristof should have held to his guns of doom and gloom.